My sister and grandma came to visit me in Korea during my summer break. We were together from August 8 - 20, 2014. Here are the retellings of Day 1, Day 2, and Day 3. I woke up on Monday morning with a swollen lip. Later it got itchy and when I bit it, it got itchier. I think it must have been some sort of bug bite, as it only bothered me for two days or so. 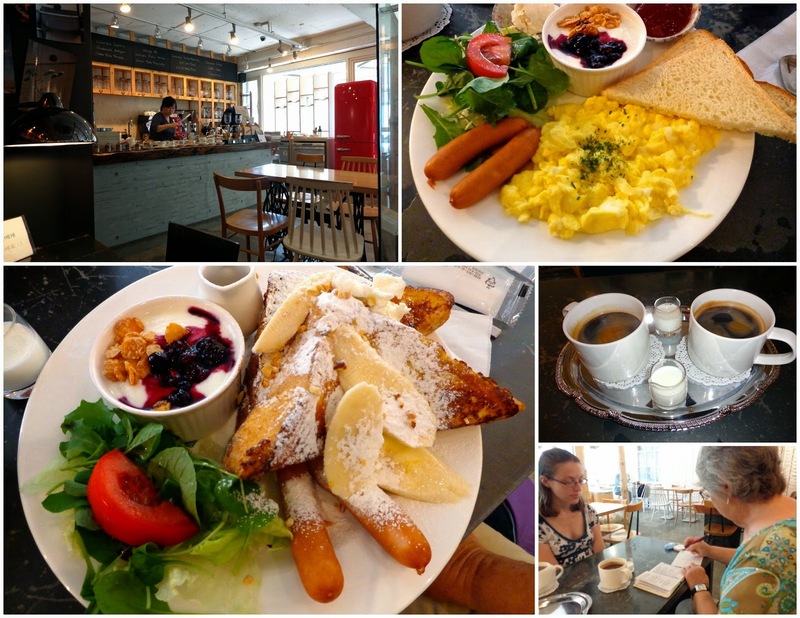 We had a lovely breakfast at the cafe near our hostel, 205 degrees. I'd eaten breakfast there once before, so I knew it was a good place. 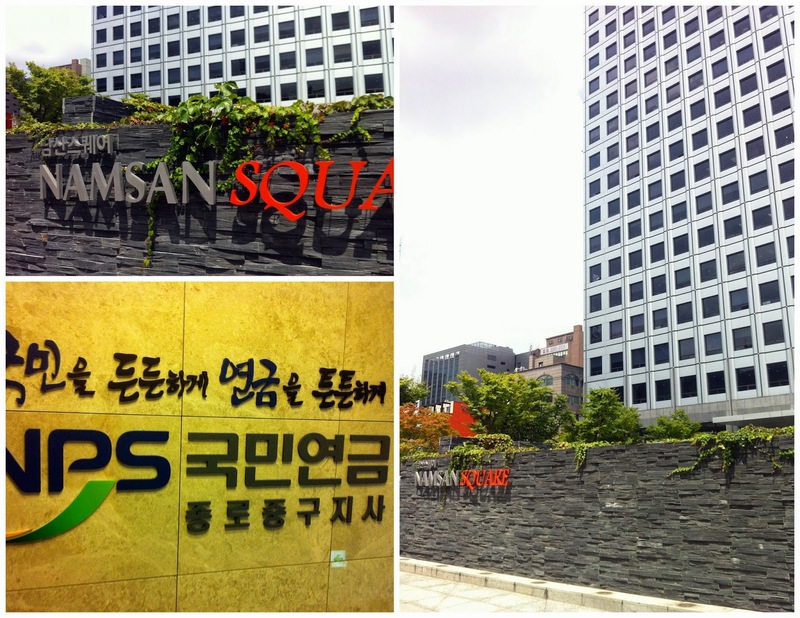 Then I took off alone for the National Pension Services office of Korea in Myeongdong to apply for my pension reimbursement. This was something I could only do after August 1, and since I'm always at school during business hours, this saved me from needing to ask for time off to do it on a week day at the end of the month, aka now. It was so easy and fast - and such a relief to have that part done! 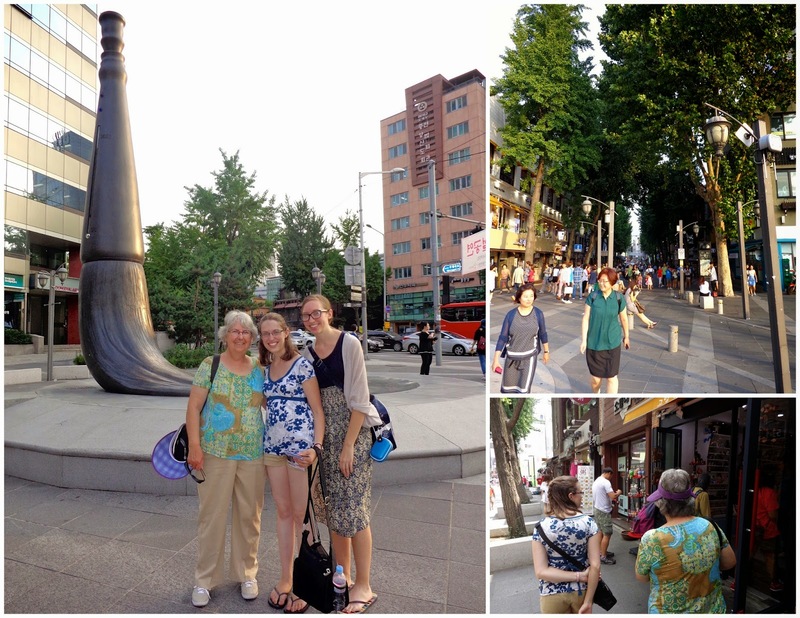 I met up with Grandma and Jacki in Insa-dong, who had only arrived just fifteen minutes before me in the end. We slowly wandered down the pedestrian-only street and made a longer stop at a wonderful gallery with artwork from North Koreans. That gallery housed a somber mood, but was important to see. 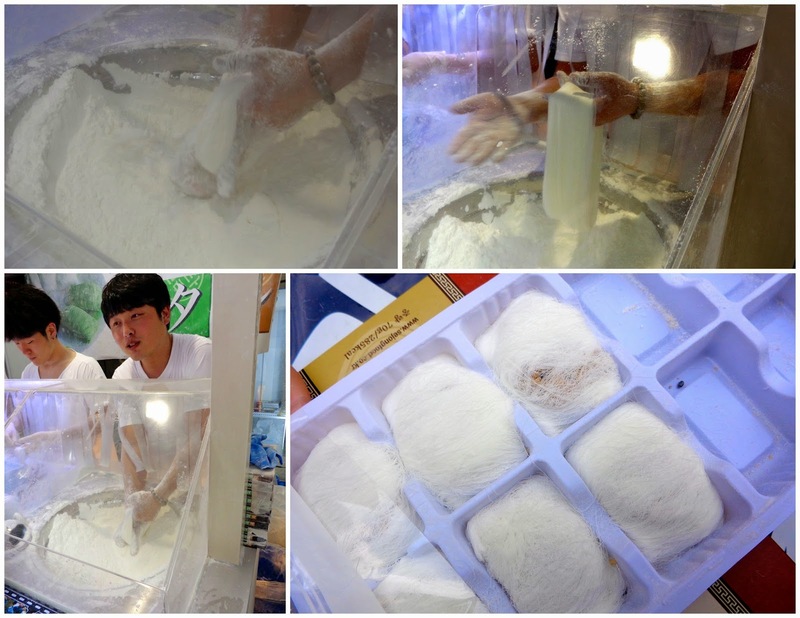 Farther down the street we watched vendors make kkultarae (꿀타래), made from very fine strands of fermented honey and maltose. I had seen this once before, but it was still fascinating to see him start with a hard chunk of fermented honey, and end up with 32,768 thin strands. Take a look for yourself! We bought a box, of course, and had some right away. The Insa neighborhood is known for its antiques, galleries, and traditional culture (like tea houses and calligraphy). 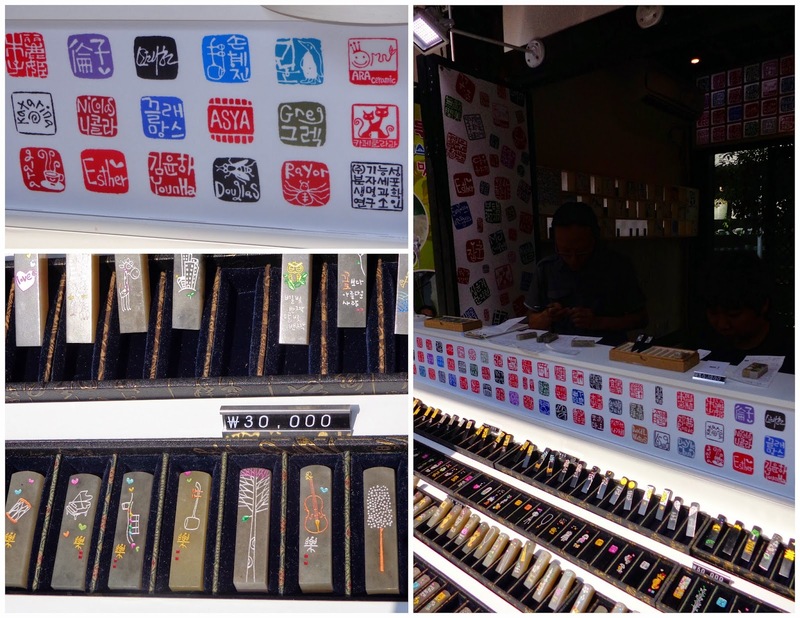 Seals, a small square stamp used in place of signatures throughout East Asia, can also be made and purchased in the area. 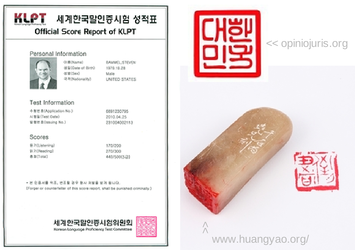 These seals typically use red ink, and are used to sign things like official/personal documents, artwork, and contracts. It's no secret that I'm a regular snail mail sender, and that I like to decorate my envelopes with stamps, among other things. When walking through Insa-dong a few weeks prior I thought about getting a seal. This time I decided to go for it. It'd be a great memento of my time here in Korea, and it would get tons of use. Ever since I was younger, I've signed my name by first making a heart, which I then disguise into the R of my name. So I got a "Rebe" stamp, where the R is a heart just like in my signature. I had already sent my ink pads home, so I'll be excited to put it to use in November. They carved right into the bottom of the stone that afternoon, and had me come back 20 minutes later to pick it up. 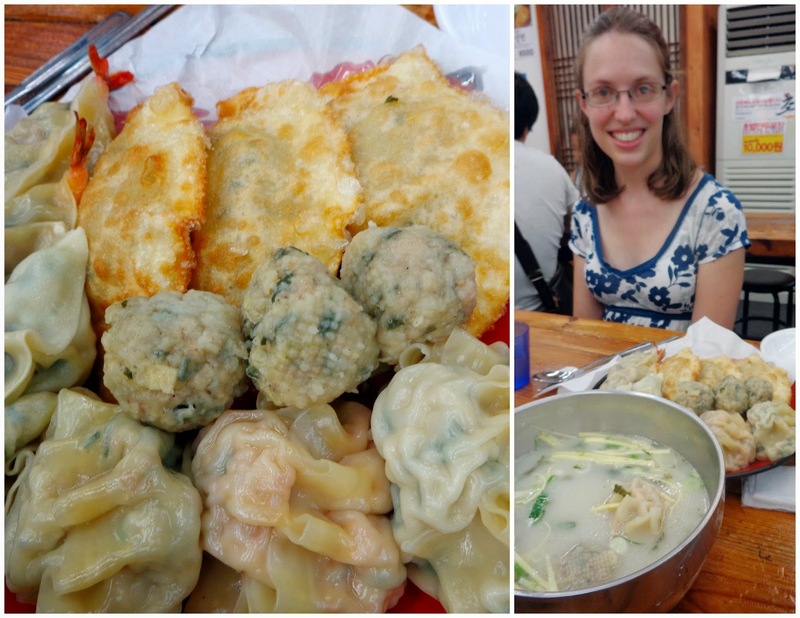 We had various dumplings, or mandu (만두), for lunch, along with two soups to share. There was so much food, I really had to stuff myself so as not to waste much. 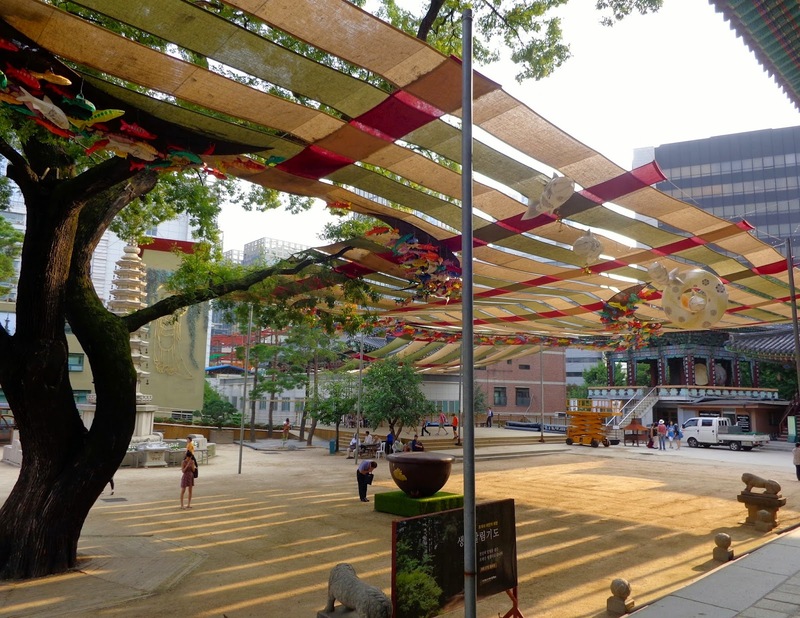 The main Insa-dong street is super close to Jogyesa Temple (조계사), so we stopped by for a visit after our late lunch. 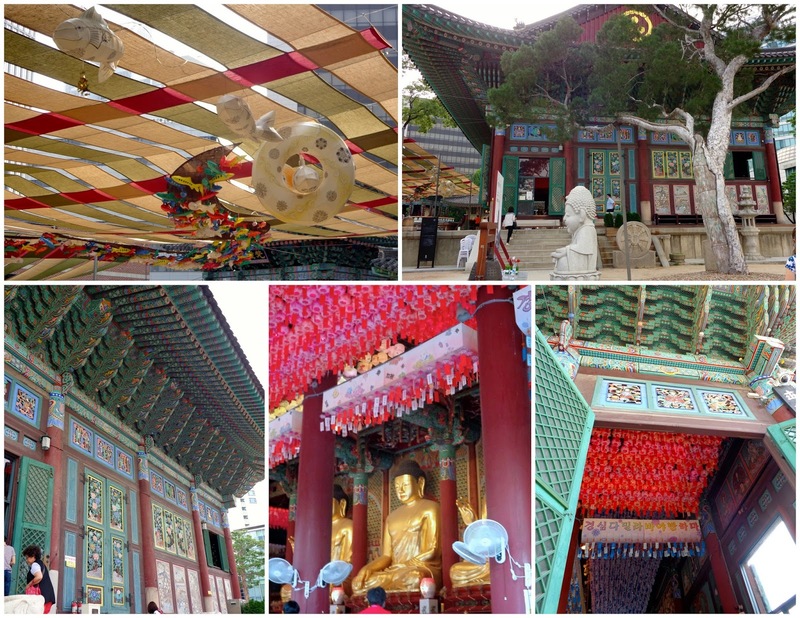 Jogyesa Temple is the the center of Zen Buddhism in Korea. Just outside the temple there's a 500-year-old tree (top right, pictured above). After we had left, we were entertained by a newscaster filming an intro just outside of the main entrance. He'd walk slowly towards the camera while saying his lines, then turn and walk up towards the entrance. Then stop and come back down and do it all over again. And again. And again! That night we popped the second bag of popcorn, and had a little more of the same soju bottle as the night before. We also each packed a light overnight bag for the next two nights that we'd spend in Gwangju. Our hostel would store the rest of our luggage for free while we were gone.